I literally threw together this look last minute for a dinner date. 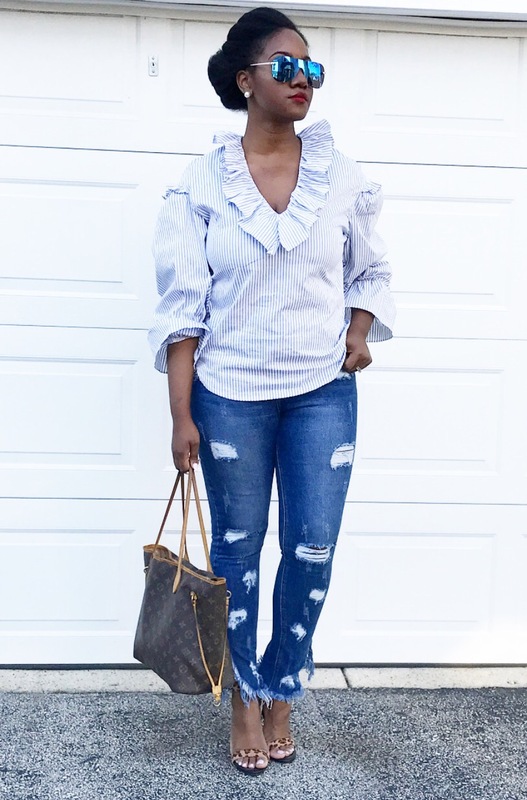 I knew I wanted to still look chic and casual without getting to “dressy” I paired this super fun Mango ruffled blouse with my NEW FAVORITE destroyed denim jeans from Missguided and some leopard minimalist sandals for added contrast. 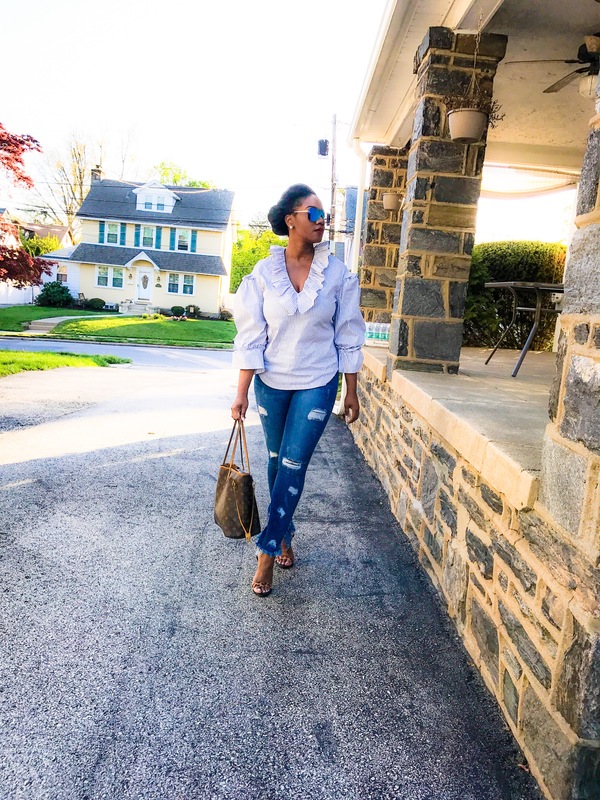 Destroyed denim is everything these days, so finding a nice fitting pair is oober important! The good thing about ruffles this season is that you’re going to see them EVERYWHERE!! 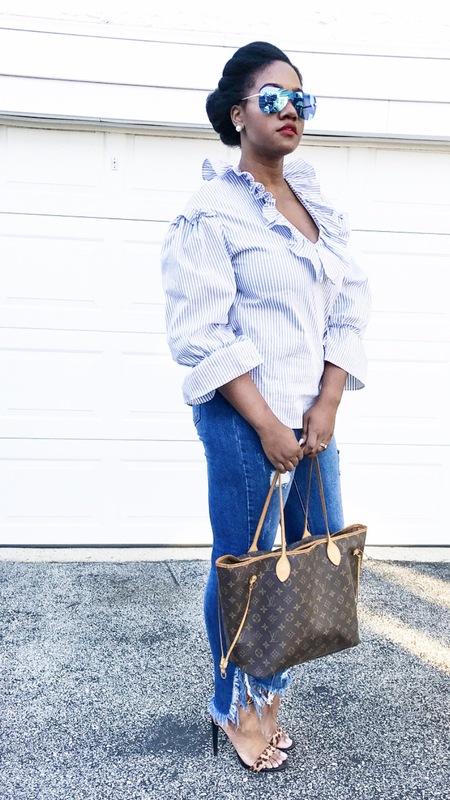 On blouse, dresses and denim. They’re the ULTIMATE statement! Hope you’ll make out like a bandit and find some cute pieces! I have email alerts for all these places, so I’m forever shopping. Lol! Ohhhh so nice!!! I think ruffles are awesome! It’s gives a feminine touch as well!